Lake Conestee Nature Park always provides plenty of fun and educational programs for the whole family to enjoy as they learn about the flora and fauna native to the area. 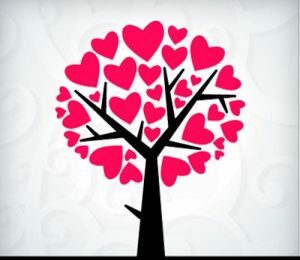 In honor of Valentine’s Day, Lake Conestee is holding a special event on Saturday, February 11th called “Nature’s Sweethearts.” The Nature’s Sweethearts event will teach attendees about the relationships between various organisms in the park. The event begins at 3 PM and ends at 4:30 PM, costing $8 for one adult and one child, plus $5.50 for each additional child. This gives you and your family an hour and a half tour of the park in which you’ll learn about how the members of Lake Conestee’s ecosystem interact in order to sustain the environment and one another. This will be followed by a fun arts and crafts activity in which children will be allowed to create animal-themed Valentine’s based on the book My Heart is Like a Zoo by Michael Hall. All ages are welcome at the Nature’s Sweetheart event, but it’s primarily aimed at children between the ages of 4 and 8. Lake Conestee will also be providing a campfire and warm beverages in order to keep everyone cozy during the cool February weather! Make sure to pre-register for the event ahead of time by Friday, February 10th. The Lego Batman Movie is sure to be a great experience for all ages, but the last thing most people expected was for Chevrolet to team up with Lego to create a real Lego Batmobile. The brand kicked off the 2017 North American International Auto Show with a blast by showing off the 100% functional life-size Lego vehicle as part of its Detroit auto presentation. 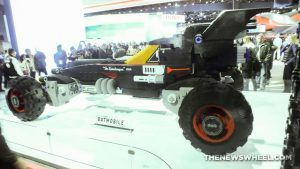 The debut of the unique vehicle was unveiled alongside a new commercial for the Lego Batmobile featuring Lego Mini Figures. The advertisement is a spoof of the “Real People, Not Actors” ad campaign that Chevy has been implementing, with the tagline “Real Lego Mini Figures, Not Actors.” The commercial to commemorate the Batmobile’s unveiling is lighthearted and fun, with the audience speculating what sort of person would drive the Lego Batmobile. The Lego Batmobile took 222 hours to design, consists of just under 345,000 Lego blocks, and weighs almost 1,700 lbs. It also has a real powertrain, with a capable engine underneath the hood. Using the tie-in with the new Lego Batman Movie isn’t just smart marketing; it’s a throwback to the old 1989 Batman movie, which featured a Batmobile constructed from two Chevy Impala chassis. The real Lego Batmobile is technically for sale – but unless you have $48 million sitting around, the price is a little steep.